" -- that's always the way. It's so darned easy to be wise after the event!" Feeling ever so guilty about straying from reading crime for so long, I'm finally getting myself back on track here, returning to my favorite genre. 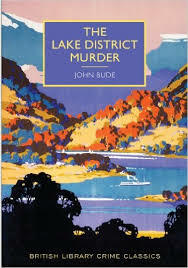 Today's book is The Lake District Murder (1935) which is not Bude's first novel, but which is my introduction to his work. His Inspector Meredith made his initial appearance in The Cornish Coast Murder, which I just bought because my resolve to not buy any new books until after the new year begins is definitely crumbling. Good thing I have stronger willpower when it comes to food, but I digress. Poor Farmer Perryman is looking forward to "roasting his toes at a roaring fire, with a 'night-cap' at his elbow to round off a very convivial evening." Unbeknownst to him, his plans are unexpectedly put on hold. 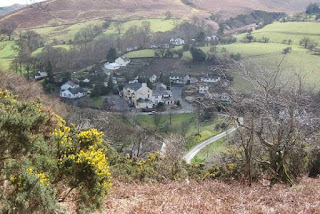 First, his car "petered out" on the way home to the village of Braithwaite, then second, when he reaches the garage he knows is just down the road, he makes a gruesome discovery while looking for the absent proprietor. There, in a car parked inside a sealed shed, the beam of his flashlight makes contact with a man with no face, giving the farmer "the shock of his life." Investigating further, he realizes that the faceless man is actually "young Clayton," who runs the place. A can of petrol later, he is winging his way to Keswick, where he finds Inspector Meredith there, finishing up his "arrears of routine work." It definitely appears to be a suicide, but as Meredith starts looking into it, he's not at all satisfied -- there are a number of clues that just don't add up. As he begins asking questions, it isn't long before he comes to the conclusion that Clayton's death might just be the tip of the proverbial iceberg, and that something is not at all right in this part of the Lake District. However, as he sets about trying to uncover the truth, he finds himself more than once in a "cul-de-sac" of complications. "Whatever faults may be attributed to the British police force by the American or continental critics, a lack of thoroughness is not one of them." "How he loathed this waiting job! And some people imagined that the detection of crime was an exciting and glamorous pastime! Little they knew about it! Glamourous? Brrr!" There's no lengthy, emotional backstory about his life or his marriage here -- his wife puts up with but isn't too happy with Meredith's long hours, she doesn't want their son following in his father's policeman's footsteps, the son works part-time in a photography shop (but probably deep down wants to be a cop), wants a three-speed Raleigh bicycle, and that's pretty much all we know about his family life. 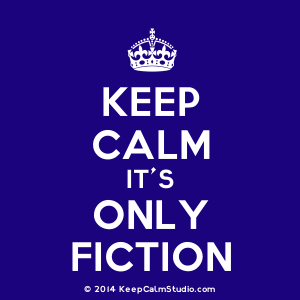 Frankly, it's probably enough in a novel where the focus is on solving the crime and getting to the truth of things; Meredith is really quite good at his job and is also human enough to realize and admit that he's made mistakes. While I get that these old books are not everyone's cup of tea, they definitely appeal to me, and I'm very pleased that this line of British Library Crime Classics has made some of them more readily accessible to modern readers.